There is no point dreaming at all if you can’t dream big. You must aim very high to shoot high. If you aim for the stars, you would likely land on a neighboring high rise. 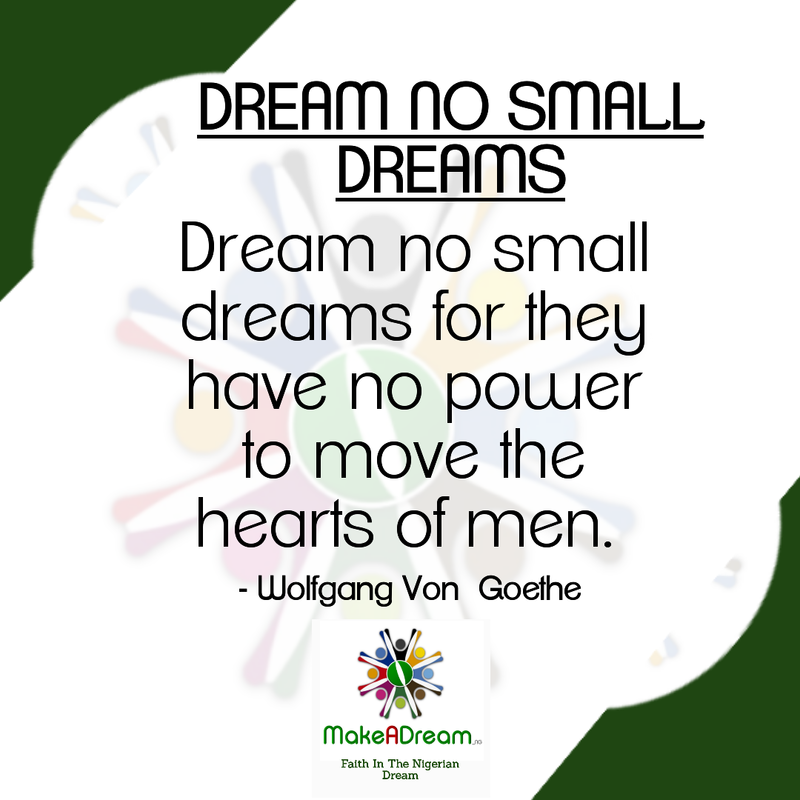 That shows why there is hardly ever any chance for small dreamers. Again, there is no point dreaming at all if you can’t dream Big. Dream Big from today, and watch life assume better meaning as you inch towards your dreams!